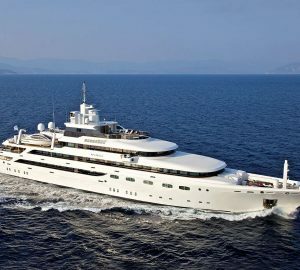 Built in 2007 by Golden Yachts, the 52m/170ft semi-displacement Custom Luxury Superyacht was last updated in 2010 and is constructed from a steel hull and aluminium superstructure. The exterior and interior styling comes from Studio Vafiadis and the accommodation sleeps 12 guests across seven cabins. 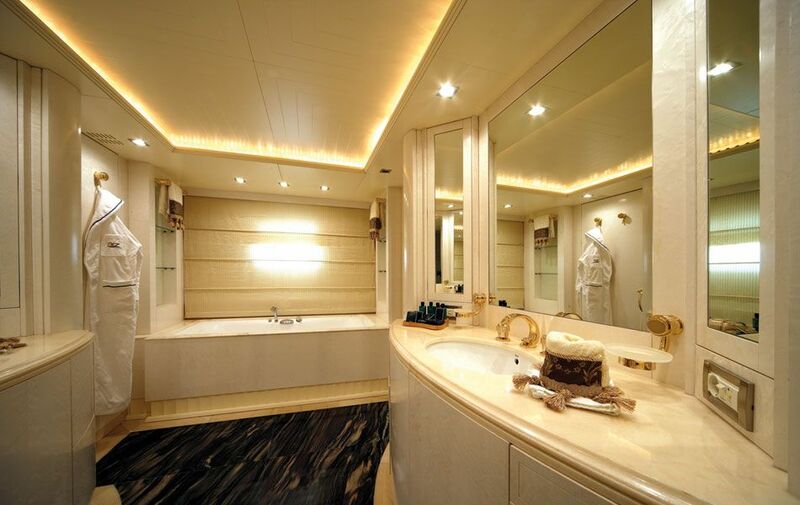 This luxury yacht features a pale blue hull and a white superstructure and the furnishings use a light and fresh colour scheme. 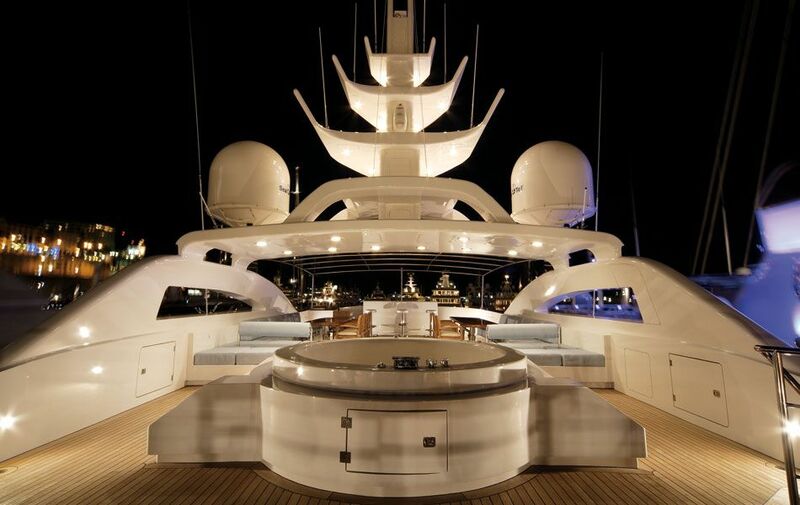 The swim platform leads up to the main deck via two staircases and the aft has a large sofa placed along the stern so that guests can unwind in the sunshine. Under the upper deck overhang, the alfresco lounge places two plush armchairs and a sofa around two coffee table for informal conversation over drinks. The upper deck aft is designed for alfresco dining in style and the main table will seat six-to-eight with two smaller tables placed in the stern corners following the flow of the curving sofas. A bar is placed near the glass sliding doors to the skylounge for efficient service between these two areas. A C-shaped sofa on the foredeck curves around a circular table for tranquil moments spent with a loved one taking in the scenery. On the sundeck, Sun loungers are placed around the stern and the middle section is fitted with a broad section of sunpads, forward of which is a raised circular Jacuzzi. Under the hardtop there is a casual alfresco dining area consisting of two elongated L-shaped sofas with raised tables and fold-away chairs for large group meals and all-day outdoor living. A forward bar completes the sundeck amenities, while the rooftop bimini can be rolled back automatically and an abundance of lighting ensures that the sundeck is just as usable at night. 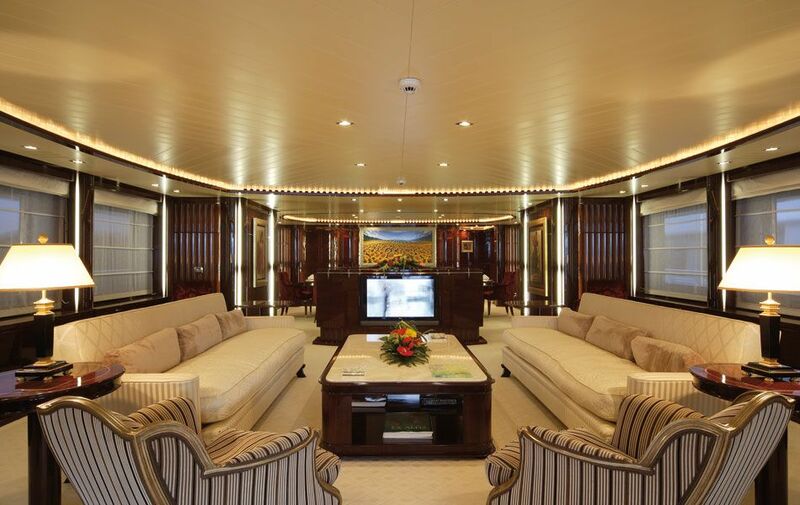 The interior styling uses different types of wood to suit each functional space: The main salon uses darker panelling for a more sophisticated and classical look, while paler wooden panelling is used in the cabins and cool white furnishings tie each room into the next. 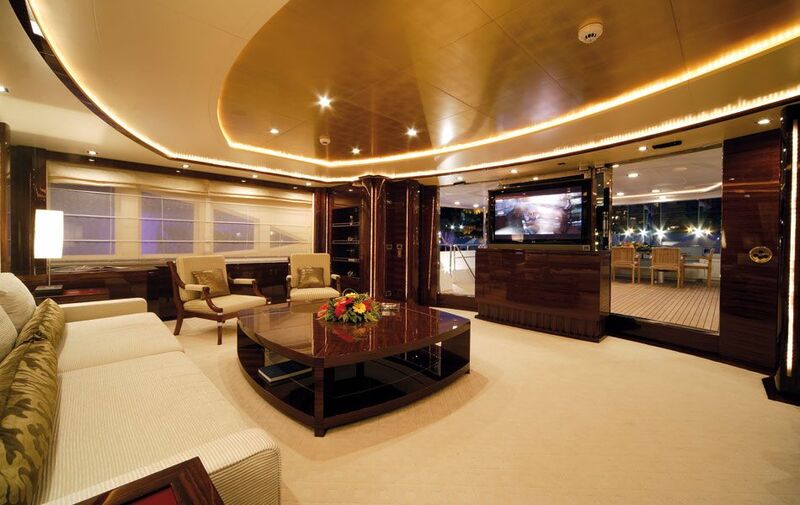 On the lower deck, the tender garage is situated in the stern and the engine room is aft of centre. The guest accommodation is all en-suite and provides two large double cabins and two twin cabins. 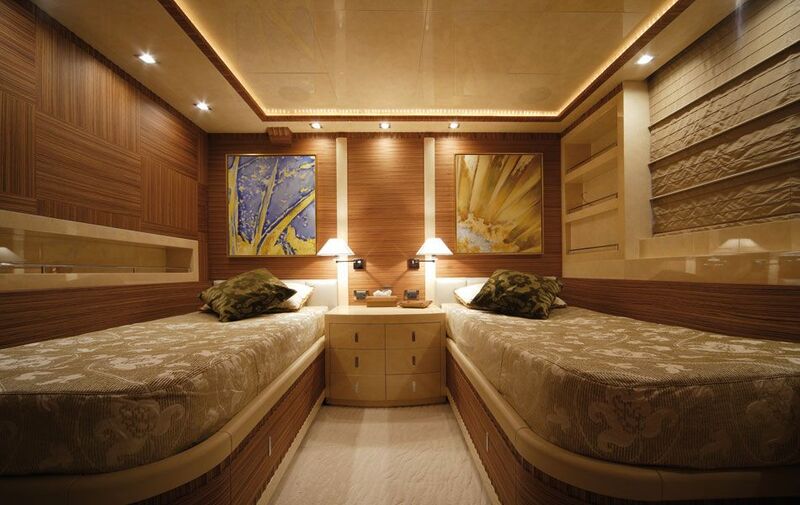 The crew accommodation in the bow also contains the mess and laundry facilities. 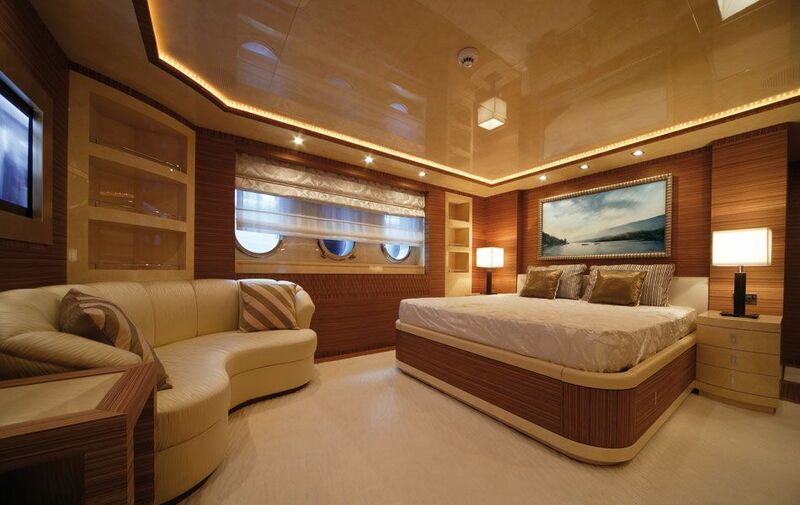 The main deck contains a forward full-beam Master suite with a walk-in wardrobe and en-suite facilities. A twin en-suite cabin is located behind the Master suite and is ideal for children and staff. Up to 10 guests can toast a special occasion at the stately formal dining area which has an abundance of lighting and beautiful classically styled art. Rest in the aft lounge after a sumptuous meal and watch a film together from the plush sofas. The broad windows provide ample natural light and views of the seascape while guests spend time in conversation or on pastimes. On the upper deck the layout contains the forward helm station and an amidships VIP en-suite stateroom with a lounge on the starboard side. 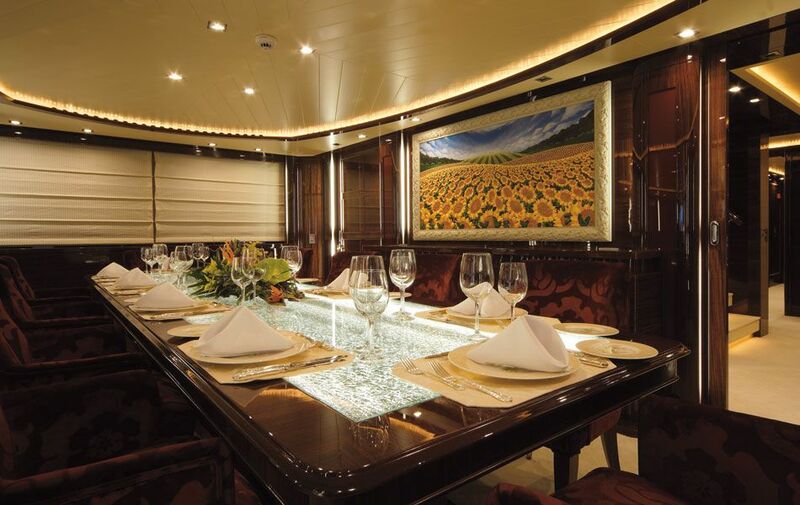 To the aft, the skylounge contains plenty of seating, an ambient back-lit bar and a games table, a perfect place for entertainment during your charter vacation. 2x MTU 16v2000 M70 engines produce a cruising speed of 14 knots and a maximum speed of 17 knots. The accommodation sleeps 12 guests over 7 en-suite cabins: 1 Master suite, 1 VIP stateroom, 2 double cabins and 3 twin cabins. 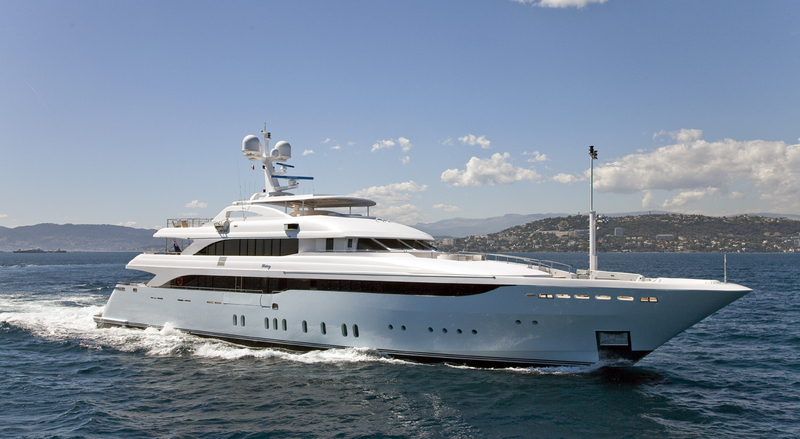 The crew of 12 will ensure that all guests are well taken care of throughout the charter. We do have available further amenity, owner and price information for the 51.89m (170' 2") yacht 52M LUXURY CUSTOM SUPERYACHT, so please enquire for more information.